Do You Play? So Listen. The Importance of Critical Listening for Musicians. List of Recommended Bluegrass Recordings. How to become a better musician — universal answer HERE! Every year I meet a lot of people who want to become better musicians. They want to play better rhythm, tasteful fills, faster solos, fancier chords. They would like to sing more convincingly, find harmony vocal lines by ear, arrange songs for their bands, become better at rhythm, know how to improvise and build solos, know what to practice or just want to learn something new. Really a lot of different desires and it seems like everybody is hoping for a simple, straightforward answer and advice. Therefore they go to workshops, attend private lessons, order music transcriptions or buy instructional materials. Well, I do have one straightforward answer and advice. It is just one word and it gives universal answer to all the above requests regardless of the music genre (… that sounds like a dream, I know). It has helped me and – more importantly – every good musician I know. It’s no secret, and is right there in the title: Listen. Listen to yourselves but primarily to others. How do they play, sing, phrase, how do they react to impulses and how do they talk about music. But above all, listen to music. Music you actually want to play. Answers to most music-related questions can be found on recordings. By listening to good music you refine your taste and thus you can judge your own playing more easily. There are people who would like to write a book but do not read. Others want to master a foreign language but do not let it surround them. And there are plenty of people wanting to become better musicians who do not listen to music. More specifically, their listening is not focused and critical. They use it as a background for other activities. I am convinced that this is not enough. Driving a car, washing dishes, gardening, reading, writing e-mails, eating. All great occasions to turn on some music. You are surrounded by nice sounds, do not feel alone, sometimes sing along, bounce your head or tap your feet. Music makes you feel better. I do it too, it is great! But I am not musically evolving when it happens – I am hearing but am not listening. Or sometimes at night when everyone is sleeping already. You play a nice music clip on YouTube. When it ends you play another one, and another, and … I do it too! But I find myself being focused more on the video than the music. 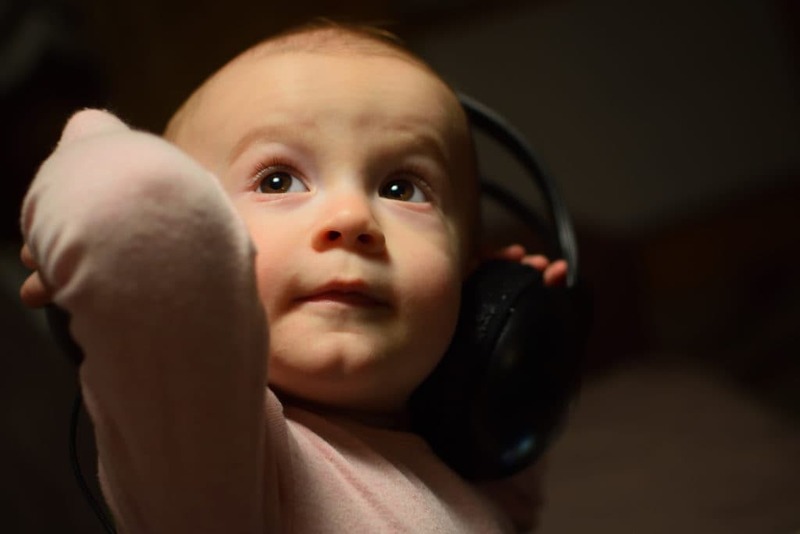 Listening to music has evolved a lot in recent years. Most of us have some music stored in a cell phone and access to tons of free music online. Some people tune in to music channels on the TV and others have a radio playing all day long. Being a millennial, LP records are the stuff of fairy tales for me and I discovered cassette tapes only in my teens as they were already in decline. I grew up during the MP3 boom ,“illegally“ downloading music from the internet. Our connection was dial-up so we used to go online in the evening only to check e-mails. During the day I had the boring Winamp window on my PC screen, and the program played one record after another. There are so many media online these days and music has much stronger competition. I can hardly imagine a situation when somebody would turn on a music-playing-only device and pay it their full attention. I like the idea very much. Being busy with so many things myself, it is hard for me – but still I work to do it. 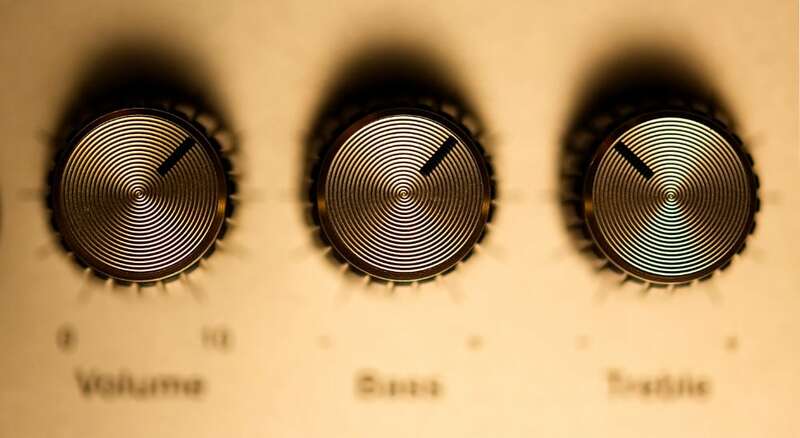 When was the last time you listened to a whole album without interruption? I am not saying that all albums are worth it, but there are many out there worth a listen. Here are a few tips for more effective engagement with recordings. This is how I try to approach listening. Before you judge, play the record 3 times. At the first go, we look for something familiar. We tend to reject the record if it sounds too unfamiliar. Someone whose opinion is important to you said it is a good album? Give it one more chance! This might sound like a contradiction to the previous tip. What I am trying to point out is that most people like the music they know so they prefer it. Then, they end up with a few favorite records and do not care about the rest. This is not a good strategy for a musician. Focus your attention on various musical layers and instruments. Thus, you will learn how the music works. Ask yourself: Is the key major or minor? What is the speed and rhythm? What is the structure of the composition (intro, verses, choruses, interludes, bridge, outro)? What harmonic functions (chords, progressions, cadences) can you identify? What instruments are involved and how does their role change during the song? How are the solos built (melody, licks, improvisation)? How do you feel about the singing and how is the vocal harmony structured? Can you identify the intervals in the melody and can you imagine how to play it on your instrument? What is repeated in the song and when? Why is the song so catchy? From my own experience I can confirm that repetitive analytical listening is crucial for active learning –and playing. Some people express their surprise that I play several instruments. I am a guitar player after all! I confess I have never practiced too much on mandolin and bass. Not as much as I have on guitar, for sure. However, I can play these instruments. The main reason is that I was listening to them very intensively at the time that I was learning and playing guitar exclusively. Later, all I had to do was imitate the sounds that I already had in my head. If you want to play more than one instrument, I can highly recommend this – do not forget to listen. If you play records through the built-in speaker on your phone or computer, you are not only losing most of the musical information within but also the emotional experiences that the acoustic experience of music can bring. Would you like to play together with your heroes? Thanks to recordings – your dreams can come true! Do not put your instrument aside but have it at hand. Search for the key, chords, melody. Try to play rhythm or solos. You can actually play breaks through the whole song–this is the only situation when nobody will be annoyed by that. Learn how to slow down the music using your computer and learn how to write music down. Do not rely on your memory – make notes of the good stuff. While you are at a live performance, focus on the music rather than the visual aspects. Concerts have down sides: the sound is often mediocre or bad, the audience is noisy, it is too cold/hot in the venue, there are too many/too few people, the artist plays too many new/old songs, you have to pay for it, etc. However, it is worth it. I have never gained as much motivation and energy for practicing and composing from recordings, videos, workshops or jam sessions as I have from attending good concerts. Perhaps you are about to start exploring the wide ocean of worldwide music production. Congratulations! You already listen to some music and have your favorites for sure but you want to broaden your horizons, discover both the essential stuff and news. How to do that? Ask good musicians what they listen to. Visit AllMusic.com. Search for a genre, an artist, album or a song. Pick an album. Often you will find 30 seconds teasers from all the songs and a link to streaming service (see below). You can find many similar or related recordings on „Similar Albums“ tab. On „Credits“, check who is playing what on this particular recording. You can click on the artist’s name and explore his/her discography. For example, if you are a fan of the fiddler Stuart Duncan like I am, you will need a lot of time to listen to all 1721 recordings he plays on. Listen to internet radio stations. Musical content there is in the hands of DJs and it is very likely you will discover something interesting. Just use the magic search engine Google and look for a phrase, e.g. „bluegrass radio“. If you are interested in bluegrass music, explore the list of artists and recordings at the end of this article. Look for various genre fusions. Many artists like to cross the (often vague) borders of their genre by collaborating with musicians and composers from outside and it often results in extraordinary projects. How to get the music? Buy records. Perhaps you will build an amazing collection. But very likely you will listen to only a part of it. Maybe a half but rather a fifth or less. Collecting is a lovely hobby. If you have the money at hand, go for it. We who make records will love you for it! Buy a large hard drive and start buying records in digital format. Or look for mp3 downloads online. I will not advise you on how to do this because I do not find this approach as useful nowadays. It used to be the best option for a poor musician., however, I no longer find it effective given the next option. 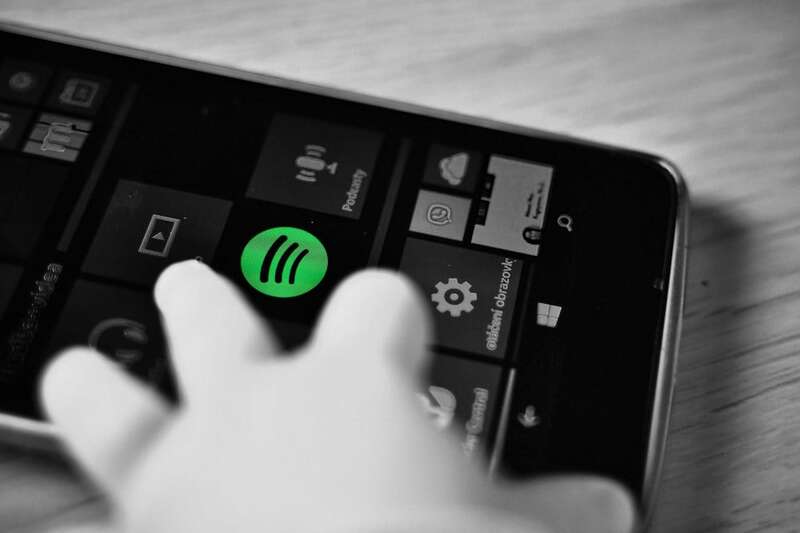 Use digital streaming services like Spotify, Apple Music, Deezer, Google Play, etc. I use Spotify. You can use it absolutely free with some limitations or pay for premium. For 9 EUR a month, I (and 5 other members of my family) have unlimited access to more than 30 million songs in sufficient quality with the option of downloading for offline listening. 9 € – this is less than the average price for one physical album. Downloading mp3s or copying (burning) CDs is just ridiculous under these circumstances. Unfortunately, streaming services do not give you access to all recordings ever made. Many small-scale self-published projects cannot be found there. Then you just have to buy the record (physically or virtually) by which, on the other hand, you support the artist directly. This gets me to the second problem I see in music streaming: the artists‘ reward for their music is ridiculously small. (Yes, I find the services undervalued and I would be willing to pay more). In this context, I like the concept of „Hear/Like/Buy“ (on which the Bandcamp is based) or the platforms for direct support of creative people like Patreon, Kickstarter or Indiegogo. You can watch music on YouTube. Many unique recordings can exclusively be found there. Listening tips and music sources are plentiful, so what stops some of us from using them for our musical growth? The determination to develop ourselves and undergo the discomfort of hard work is rare nowadays. There are so many temptations to fill our leisure time in more pleasant ways! But for the sake of self-development it is necessary to fight against them. Some people say they do not have enough time. I do not find this accurate. We all have the same amount of time. The question is how we use it. I think that avoiding TV and reducing the time spent on social networks, news and online discussions is a reasonable first step. I did it a few years ago and I do not find myself being less happy than before – just the opposite way! Since most of my activities are related to bluegrass music, I expect that bluegrass fans will be the largest group of the readers here. Therefore I attach a list of bluegrass music artists whose music I recommend for listening. The credit for creating it goes to its original author – Slovak dobro player Henrich Novák. I would also like to thank to Milan J. Kalinics, Ralph Schut a Petr Brandejs who helped me to enrich it. You can find a selected album and song from each artist to gain a quick overview about how do they sound. I selected recordings that can be listened to online for free (on YouTube or via streaming services), not necessarily the crucial ones. If you like a particular band, look for solo albums of its members too. If you play, check also the list of significant personalities of each instrument. Please keep in mind these lists are just one of many sources and of course biased by the taste of their authors. 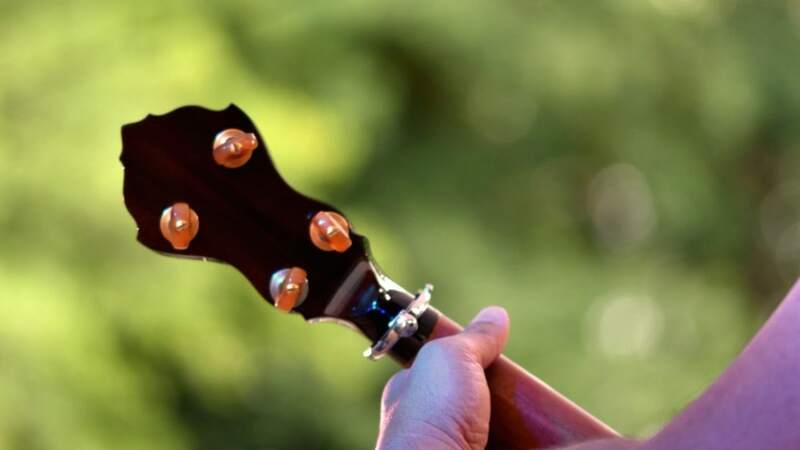 Search online for other sources, become a member of a bluegrass association or community and also share your own discoveries (on Facebook, in the discussion under this article, etc). Let me finish with a bit of final advice. Do not listen to bluegrass only. To be honest, I actually listen to it quite seldom. It is an amazing music but it can rarely surprise me – which is a thing I love about music. I prefer to look for various fusions and crossover projects of „bluegrass musicians“ and I enjoy many other genres too, like jazz, funk, country, pop, hip-hop, classical, etc. There is something interesting about every music genre! Now please sit down and play something nice for your ears. Enjoy! Feel free to share this article or support my further activities if you liked this. Thanks to Lee Bidgood for proofreading this article! Ahoj Miško. Díky! Dej vědět, jestli narazíš na nějakou zajímavou muziku. Ať se daří. Pěkně napsaný článek. Sám se snažím tímto způsobem fungovat a opravdu to posouvá dopředu. Seznam na konci je super. Možná bych tam dolpnil ještě Old And In the Way (Jerry Garcia, David Grisman, Peter Rowan, Vassar Clements, John Kahn,). Stejnojmenná deska (byť je už někdy z roku 1973) mě v poslední době docela oslovila. Možná by také stáli za uvedení v seznamu. Díky Zdeňku za příspěvek. Samozřejmě, že je ten seznam neúplný – já se ho snažil udržet spíše stručný. Tohle je každopádně krásná deska! This is comprehensive and very helpful too! Thanks very much for drawing this up. I have a bit of a counter-argument regarding Blue Grass music. If bluegrass music does not “surprise” you, perhaps you should heed your own advice and “listen” to it — the backup, the subtle fills you missed the last time you heard it, and so on. Listening to live recordings of the Blue Grass Pioneers is especially full of surprises, no matter how many times you have heard it. That is true for any music, if one is truly listening. Spotify? They are screwing the writers and publishers out of reasonable expectations of royalty payments. I’m sorry to see anyone recommend it… especially musicians. I believe the day of reckoning is coming for Spotify (and others) via massive lawsuits. I commend you on listing so many first and second generation Blue Grass recordings as listening and learning references. Too often young musicians do not have that foundation of the music born of the hands and voices of the inventors and innovators. A well done piece overall. You’re right about the “hidden” stuff in the recordings that can be revealed mostly by repetitious and focused listening. There’s always a lot to discover in old bluegrass recordings if you want to play mostly traditional or contemporary bluegrass music. But they might seem too straightforward in terms of the rhythm, chord progressions, song structure, lyrics, etc. once you become ambitious about exploring and pushing boundaries of the genre (as I am). I love bluegrass and I love exploring other music too. I think music streaming services are awesome for listeners. Yes, not so good for creators – as I mention in the article. It is a simple demand/offer question and nobody has to use them (neither musicians nor listeners) if they don’t like them. I hope you would agree that using Spotify is much better than using warez (which is still very popular). Thank you very much for reading the article and sharing your thoughts! Jo, s tím poslechem, to je pravda. Hraní sluchem fakt vymizelo, všude videa “jak hrát”, akordové tabulky a podobné nesmysly. Na druhou stranu takhle hrát dneska v naší společnosti skrze čas ani nejde (pokud nemáš štědrého donátora peněz). Viz další odstavec. S tím časem úplně nevím. Když jako muzikant člověk za moc nestojí (a dost možná ikdyž stojí) si tak uplně na živobytí nevydělá a z toho drobna času je těžké vymáčknout maximum, když se započítá únava. Zrovna teď si říkám, zdali má cenu investovat do kytary ty maximální 3 hodiny denně, jestli není lepší z toho věnovat hodinu a půl něčemu, díky čemu nebudu muset otročit ve fabrice. To je to. Takže jediná šance na to být fakt dobrý je asi začít dokud ty sponzory máš (v dětství), že? Naštěstí “být fakt dobrý” není zdaleka jediný bohulibý cíl, co si v hraní můžeš dát. Teď mě napadá, že ten článek tak asi vyzněl. Ale vlastně respektuju všechny ostatní pohnutky k hraní a přeju všem hlavně to štěstí a radost z muziky! Inspirace od člověka – muzikanta, který má co říct. Díky za podporu Ondro – je velmi motivační. Dík Milane, ať se daří!